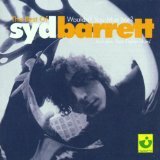 "It's safe to say, Candle, Tonight's the day, Candle"
The Best Of Syd Barrett: Wouldn't You Miss Me? (this album) (compilation) (2001), Barrett (1970), Crazy Diamond (compilation) (1993). Sorry, no matches on eBay for "Waving My Arms In The Air Syd Barrett".